VIETRADE - On September 18 2015, a Vietnam senior delegation led by Deputy Prime Minister Nguyen Xuan Phuc in company with Deputy Minister of Industry and Trade Nguyen Cam Tu and leaders from others ministries, agencies of Vietnam joined in the cutting ribbon ceremony of the Vietnam Pavilion at Hall 6 of the Nanning International Convention & Exhibition Center, Guangxi, and P.R. China. This event was among main activities of the 12th China – ASEAN Expo (CAEXPO 2015) which was held by the Ministry of Commerce of the P.R. China and co-organized by Ministry of Commerce / Ministry of Industry and Trade of 10 ASEAN countries. Deputy Prime Minister Nguyen Xuan Phuc and the senior delegation visited the Vietnam National Pavilion which introduced and promoted the image and prospects of tourism as well as the economy and trade of Lao Cai province. This year, there were more than 100 businesses from 21 provinces/ cities of Vietnam led by the Vietnam Trade Promotion Agency (VIETRADE) attended CAEXPO 2015. The area of Vietnam Pavilion at this Expo was 3,240 m2 with 200 standard booths, displaying potential and high quality products/ services of Vietnam such as agricultural products, food processing, consumer goods, arts and crafts, furniture, etc. 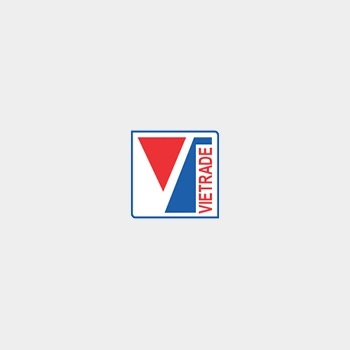 Along with organizing the Vietnam Pavilion, VIETRADE also cooperated with others agencies in holding business matching programs among Chinese/ASEAN and approximately a hundred of Vietnamese enterprises at the EXPO. After 11-year consecutive and successful organization, CAEXPO has played an important role in creating great chances for Vietnamese enterprises in exchanging and promoting cooperation with Chinese and ASEAN ones. Its fruitful results also contributed to the development of Vietnamese business community. ­­­­­­­­­­­­­­­In 2014, according to some reports of Vietnamese enterprises attending CAEXPO, both quantity and quality of transaction at the Expo was increased. The total value of trade transaction, signed contract, invest and trade corporation was more than US$100 million. The number of Chinese/ ASEAN enterprises who visited and traded at Vietnam Pavilion reached to approximately 50,000. For the first 8 months of 2015, the total export turnover of Vietnam to China hit US$11.05 billion, increasing by 12.3% against the same period in 2014, the total export value of 2015 is expected to reach US$16.5 billion.